In case if Windows key on keyboard not working in Windows 10/8.1/8/7, then this registry based workshop will help you to fix it. The Windows key on keyboard simply launches Start Menu or Start Screen in different Windows editions. This key is pioneer while you’re using Windows. But at some day, you might discover that the key is no longer working. What to do now? Although, you can use the cursor to highlight Start Button and launch Start Menu/Screen. But you may still want to fix the non-working Windows key. This article is dedicated for this issue. Recently, while using Windows 10 Pro, we suddenly discovered that after doing some Windows Update, Windows key lost its functionality. Restarting the machine, and subsequently running the System File Checker scan didn’t helped in this case. So in case if you’re also facing this issue, here’s how to fix it. 3. In the right pane of Keyboard Layout, look for the Scancode Map named binary registry DWORD (REG_DWORD) and right click on it, select Delete. Close the Registry Editor and reboot the machine. After restarting your system, the Windows key should start functioning as expected. FYI: In case if you’re a developer and you ever want to disable the Windows key, you can do it simply via Scancode Map registry DWORD. Set the registry DWORD Value data to 00000000000000000300000000005BE000005CE000000000 and this should disable the Windows key upon reboot. 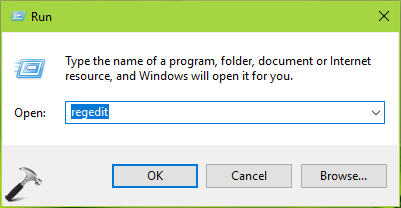 When you again want to enable the Windows key, simply delete Scancode Map registry DWORD.